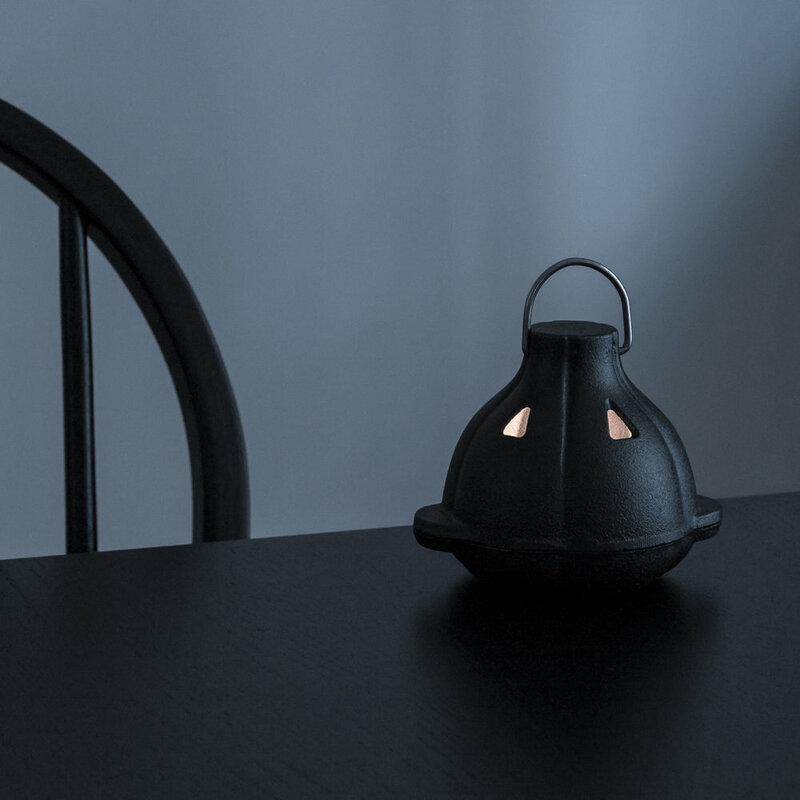 DIY Cast Iron Tabletop Lantern | MeetMinnie. your holiday table or to add warm glow to a dim corner. *We bought a new garlic roaster for this project and recommend you do the same. Do not reuse for food purposes after completion of this project. Because the lantern is in two pieces, it is unsuitable for hanging. For tabletop use only. For more fun DIY projects, check out the Winter 2017/18 issue of MeetMinnie!